There are two things you cand do to fix this printing problem. First stept would be disableing Biderction support by going to Control Panel , Devices and Printers and right clicking on the devices. 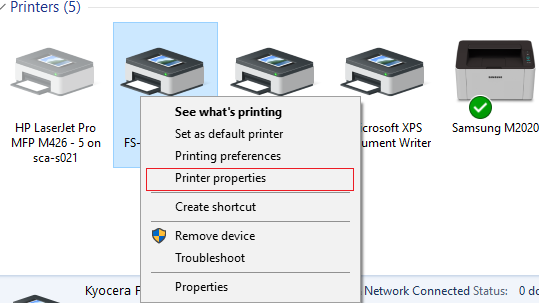 A drop down menu will appear, from which you’ll have to click on Printer Properties. 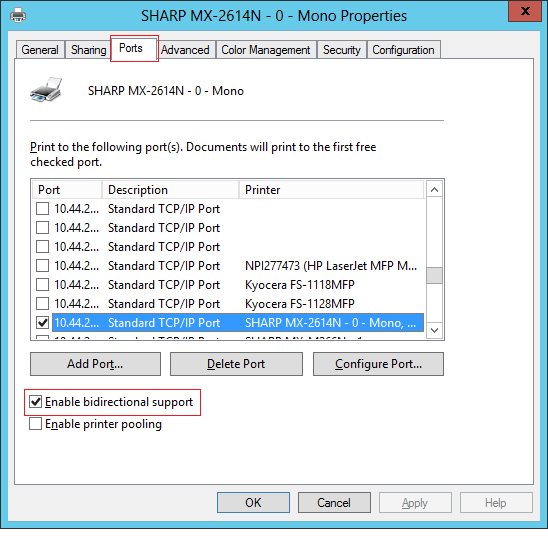 Now, go to the Ports tab, select your printer, uncheck Enable Bidirectional Support and click Apply.